Deputies never know what they may encounter during their shift and the early morning hours of August 26th were no different. LCSO uniformed patrol deputies responded to 9151 NE 68th Street in Bronson at 5:20 a.m. to a reported disturbance. Upon their arrival they met with the complainant who told them her son was destroying the home. 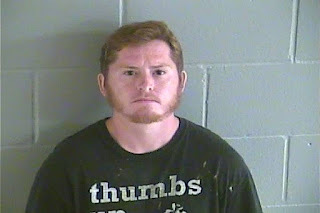 Deputies located the son, identified as Andrew Phillips (10-28-78), urinating in the front yard. 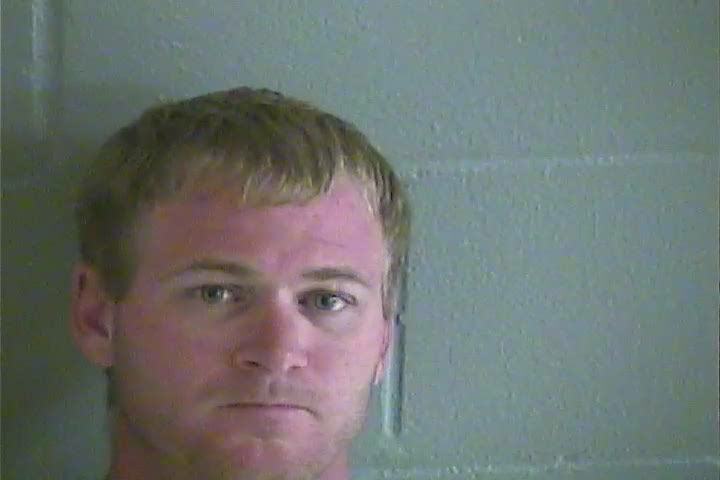 Phillips was extremely intoxicated but had yet violated any laws. 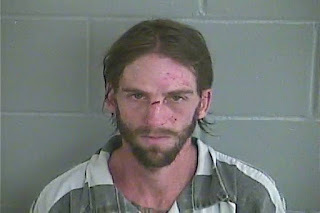 In their attempts to quell the disturbance, Phillips said he would “go to bed” if the deputies helped him find his backpack. Phillips then led deputies to his bedroom so they could help him look for the misplaced backpack. Upon entering the room, deputies found Phillips was quite the gardener, observing 21 potted marijuana plants growing in the room. He told deputies that was his “pot”. 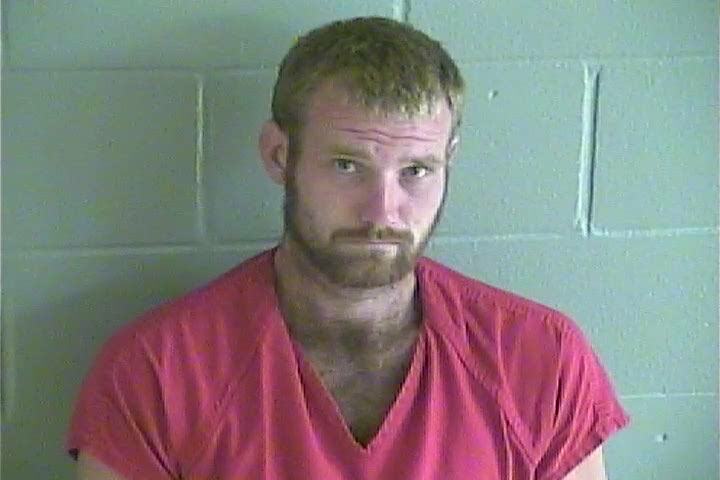 Phillips was placed under arrest and was being escorted from the home when he stated “I’m not going to jail” and pulled away from and began fighting with the deputies. One deputy was injured while attempting to control him. Phillips had not yet been searched so deputies led him to an awaiting patrol car after gaining control of him. While searching Phillips’ pockets, he very deliberately and intentionally head-butted the rear window of the patrol car causing it to shatter. Phillips fell backwards onto the ground bleeding profusely from facial lacerations. In his intoxicated state, Phillips then began spitting blood and saliva onto deputies and EMS staff before he could again be controlled and taken to the hospital. 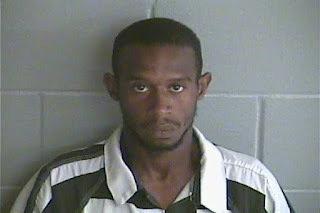 Phillips was treated at a local hospital and released to awaiting deputies. He was transported to the Levy County Detention Facility and was charged with cultivation of marijuana, possession of marijuana, resisting an officer with violence, battery on a law enforcement officer and criminal mischief. His bond was set at $112,000.00, which we are sure didn’t help the headache. 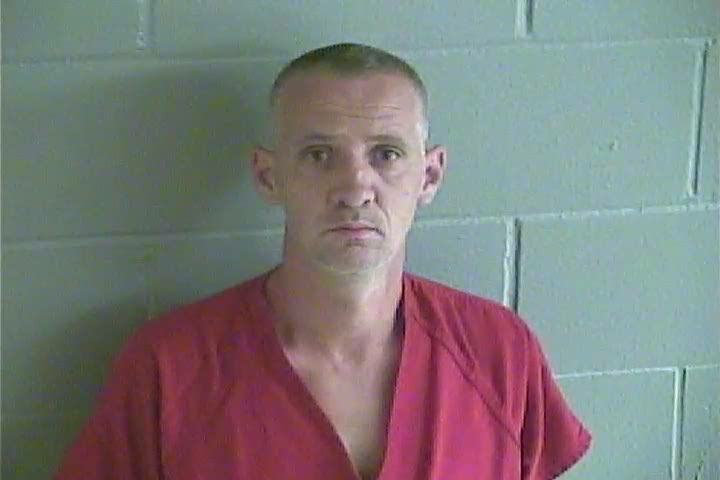 On August 2, 2017 LCSO reported the arrest of Richard Irving Avis for three counts of sexual battery on a 10 year old child. Since his original arrest, an additional victim has come forward. 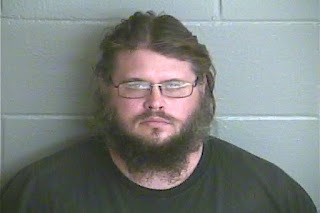 After speaking with the 13 year old victim and gathering additional evidence, Investigator Justin Van Duren was able to arrest Avis on three additional counts of Sexual Battery on an underage victim. This new case is made even more heartbreaking because Avis had been acting as a caretaker for the victim at the time of the crimes. LCSO encourages all parents to carefully investigate and monitor everyone who provides childcare. Avis remains incarcerated at the Levy County Detention Center. His combined bond on both cases is 3.75 million dollars. 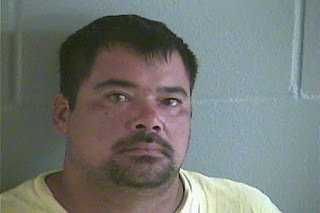 The Levy County Sheriff’s Office Criminal Investigations Division (CID) made a third arrest in connection to the home invasion homicide in Williston Friday, August 11, 2017. Investigators learned Steven Demar Stacy (7-12-83) of Williston aided Jalen Days and Andrew Robinson in disposing of the weapons used in the crime to include the murder weapon. Mr. Stacy aided the defendants in the early morning hours of 8/4/2017. To date the firearms have not been recovered. Investigators are actively working this investigation and still need the publics’ help. Many questions are still unanswered and the community could provide much needed information. Any person who has information is asked to call the Sheriff’s Office Criminal Investigations Division at 352-486-5111. The Levy County Drug Task Force (DTF) executed a drug search warrant at 16151 NE 50 Street in Williston on Thursday, August 3, 2017 at 5 pm. In April of this year DTF investigators received an anonymous tip and began their investigation of drug related activities. Based upon this tip, investigators learned that Chad Williams (4-24-75) was selling cocaine and marijuana from his home at this address. 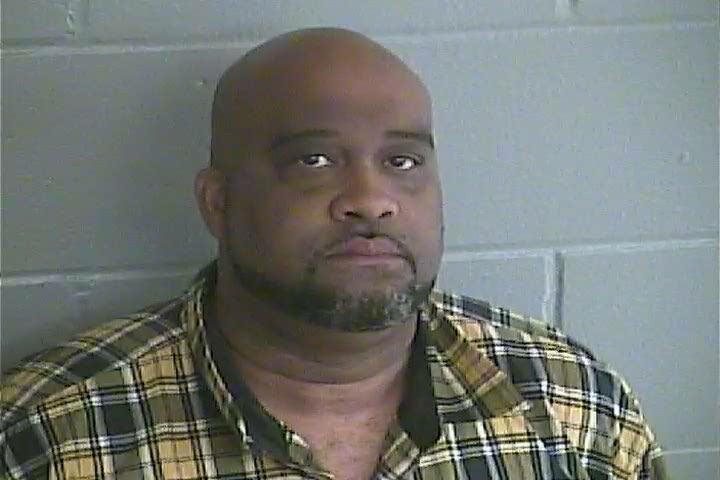 DTF investigators secured a search warrant for the home and upon execution of the warrant found Williams home with his wife, Toinette Williams (3-20-71), where they discovered cocaine and marijuana inside. DTF investigators said information gathered during this investigation revealed Williams was selling quantities of cocaine. Investigators said although Williams has been arrested, the investigation is not complete. They will continue to work to identify not only the supplier for Williams, but the people who were purchasing from him. Additional charges are likely to be filed at a later date. Investigators have filed charges against William’s wife, Toinette, for her participation in the drug operation. 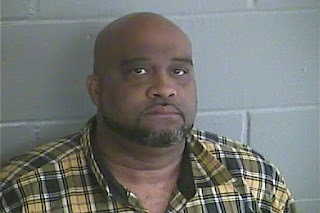 Williams was arrested and charged with possession of cocaine with the intent to distribute, possession of marijuana with the intent to distribute, possession of drug paraphernalia and tampering with evidence. Williams bond was set at $76,000.00. The Levy County Sheriff’s Office Criminal Investigations Division (CID) has made two arrests in connection with the home invasion homicide that occurred in the early morning hours of Friday, August 4, 2017 in Williston. Homicide victim James Patterson and shooting victim Ramon Patterson were confronted by armed suspects who opened fire inside the home that night. Today CID investigators executed two simultaneous search warrants in the Lincoln Heights subdivision off of CR 318 in east Williston. As a result of these search warrants multiple people were interviewed and two juveniles have been arrested. Jalen Keyshawn Days (10-8-99) and Andrew Lee Robinson (6-29-2000) were taken into custody and have been charged with first degree murder, home invasion robbery with a firearm and aggravated battery with a firearm. Both have been booked into the Levy County Detention Facility and will be transferred to the Department of Juvenile Justice in Gainesville later today. CID investigators are far from complete with this case. Sheriff McCallum has been told community members have more information that will solidify this case and ensure these two remain in custody. He is calling our citizens to action and asks that anyone who has information related to this case to contact our office at 352-486-5111 and help us keep the community safe. On Saturday evening and into Sunday the Levy County Sheriff’s Office K-9 Unit and Uniformed Patrol Division continued high intensity narcotic interdiction in the Cedar Key/Rosewood area of our county. K-9 Supervisor Sergeant Kevin Kinik with his partner Zombie and Deputy Gary Garboski with his partner Molly along with multiple patrol deputies made six additional arrests Saturday and Sunday in our continued drug interdiction efforts. Shaune Cherry (10/08/81) of Cedar Key was arrested for Possession of cocaine and possession of drug paraphernalia. Sgt. Kinik conducted a traffic stop at the Dollar General in Rosewood and found Cherry to be in possession of 3 grams of cocaine and drug paraphernalia. His bond was been set at $15,000.00. 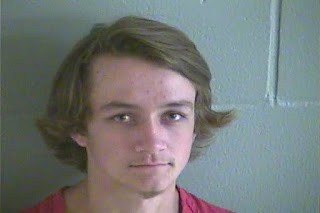 Robert Cherry (01/09/99) of North Carolina was arrested for possession of less than 20 grams of marijuana and drug paraphernalia. Sgt. Kinik conducted a traffic stop in front of Robinson's Seafood. Deputy Garboski with his K-9 partner Molly discovered marijuana in the vehicle. His bond was set at $1,000.00. Charles Haven (5/6/92) of Cedar Key was arrested for possession of methamphetamine and possession of paraphernalia. Sgt. Kinik conducted a traffic stop on SW 69th Street in Rosewood. Deputy Garboski with his K-9 partner Molly discovered approximately 1/2g of methamphetamine (ICE) and a pipe used to smoke it. His bond was set at $12,500.00. Cassandra Brettel (1/3/95) of Bronson was issued a notice to appear (NTA) for possession of less than 20 grams of marijuana and possession of drug paraphernalia. Deputy Garboski with his K-9 partner Molly discovered the drugs during a traffic stop in the City of Cedar Key. Matthew Tysinger (9/24/92) was arrested for possession of marijuana less than 20 grams and possession of drug paraphernalia. Deputy F. Almeida of the Uniformed Patrol Division conducted a traffic stop in the parking lot of the Cedar Key General Store in Rosewood. Tysinger was found to be in possession of approximately 6 grams of marijuana and numerous items of drug paraphernalia. Tysinger was released on his own recognizance at first appearance. Zachary Hall (6/5/83) of Dunnellon was arrested for possession of cocaine and carrying a concealed weapon. Deputy Garboski observed a suspicious vehicle parked on NE 205th Ave near SR 121. Deputy Garboski made contact with the vehicle’s occupants and during a search discovered a baggie containing cocaine. Hall also had a small loaded pistol in his pocket. His bond was set at $11,000.00. Michael Barcinas (12/27/81) of Williston, who was a passenger in the vehicle with Hall, was also arrested for possession of cocaine. His bond was set at $26,000.00.